You can bid on a one hour phone call with me to discuss writing, poetry, whatever (or, dare I say it, turn it into Skype visit!) and get a signed copy of The 14 Fibs of Gregory K.
And you can bid on two hours of my social media consulting services - currently going for a huge discount to my normal rate. There are some really amazing things in this auction, by the way (your kid in a Marvel comic! A personalized greeting recorded by The Ice King from Adventure Time! Various table reads here in Hollywood, signed swag, and two times me! ), and it's for a school that does absolutely extraordinary things for some amazing students. Bidding ends Saturday evening, so hurry, I say. Buy me for a great cause! And thanks! Well, I'll start off by saying that The 14 Fibs of Gregory K. did NOT win the MG Cybil award. Sigh. It was a thrill to be nominated, however, and I cannot wait to get my hands on Ultra by David Carroll, the MG winner. It was the one book in the category I hadn't read... and the others were so fantastic that I know that Ultra must be amazing. 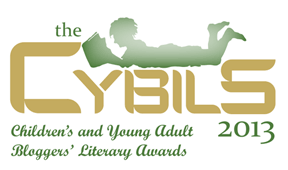 The list of Cybil award winners is a great collection of books for kids across a whole range of areas. As always, I highly recommend checking 'em out. 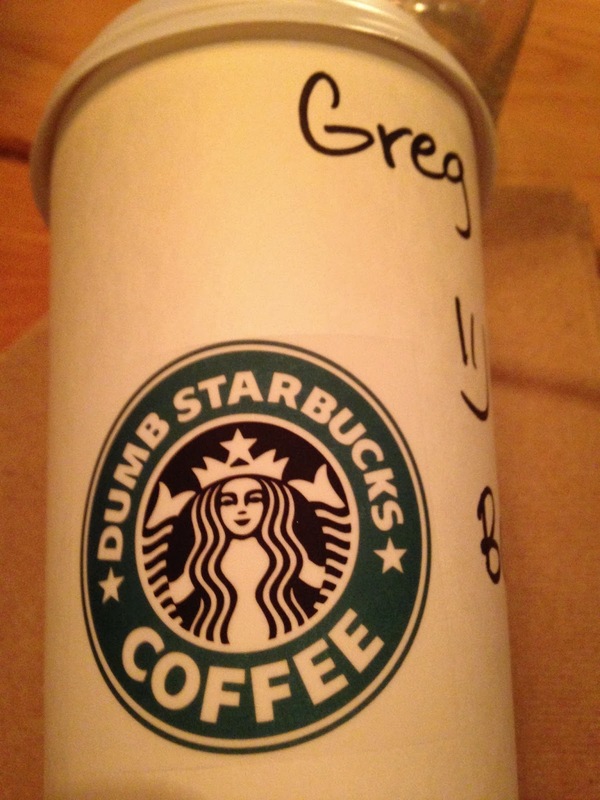 So, on Sunday afternoon, I visited the one and only Dumb Starbucks in the US. All of us in line knew we were part of something that was art or a promotion or both, and I don't think anyone was waiting (and waiting and waiting!) 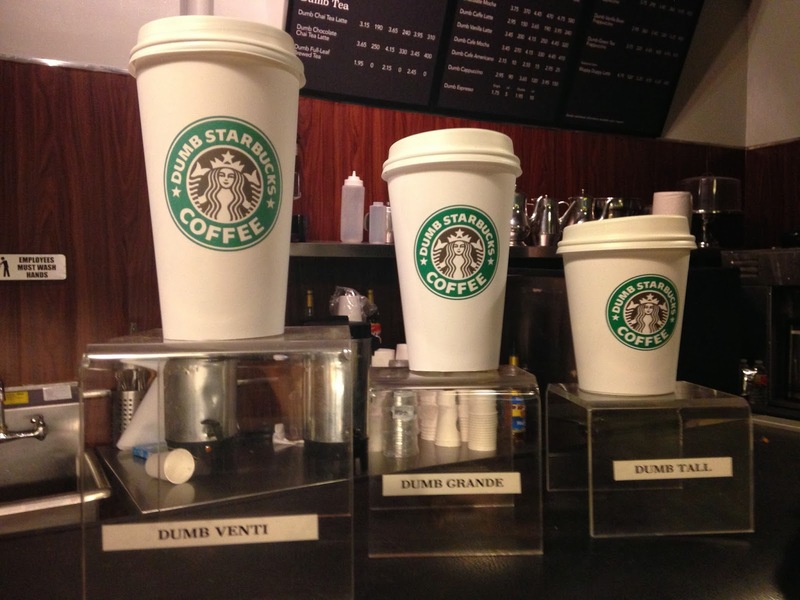 for the free coffee. We were waiting because it was fun. It was community. 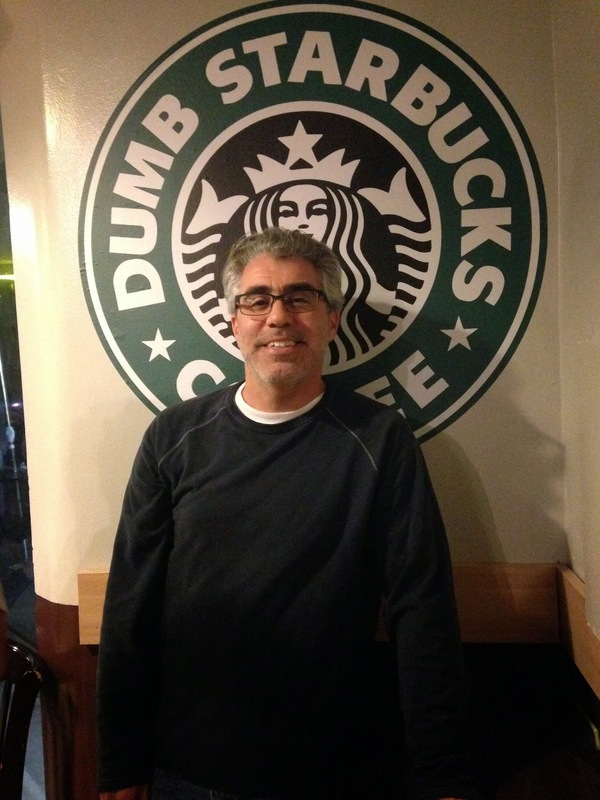 It was... dumb in the best way! It was exceedingly well done, including three Dumb CDs (one of which was part of a whole series of dumb music of the world). And yes, it turns out that the whole thing is the brainchild of Nathan Fielder who hosts a Comedy Central show called Nathan For You. He claims there will be one in Brooklyn in two weeks, in fact, though who knows if it'll happen. It wasn't just performance art which might've been more satisfying, but the way it played out was probably the same regardless. Here's the message from the founder that keeps in the spirit of the launch. Now, I was gonna tie this into a writing post ("pay attention to detail") or a social media post ("go viral with IP borrowing at your own risk!") or both... but I decided, no, I'd just share my dumb experience. I got my drink, had a blast, and got more than enough enjoyment out of it to pay me back for my time. It was a win! I walked in from my car - you fell off of your platter. Or simply picked up the phone! Exposed to the cold and the dew. You're less yummy solid, more goo. A place full of heartache and hurt. You would have been one fine dessert. Yes, this is based on a true, sad story of a cookie that escaped my post-Super Bowl party dessert-extraction expedition. 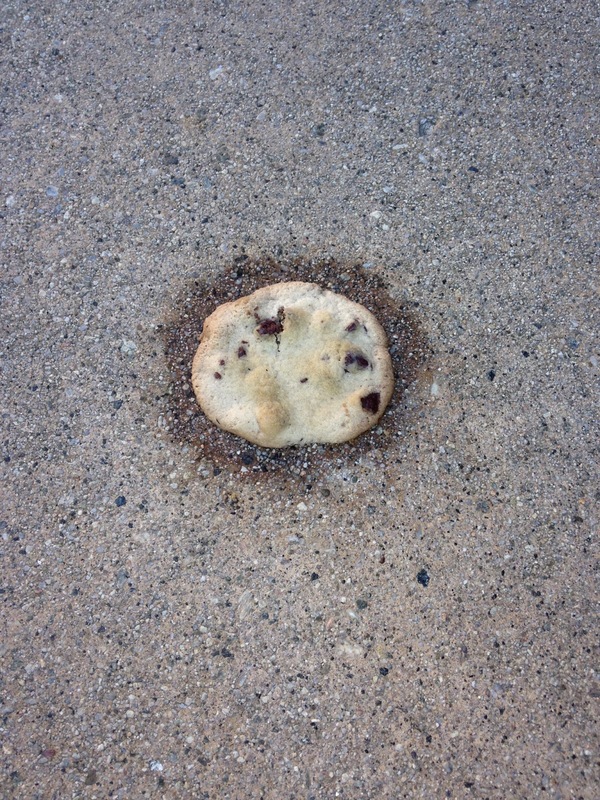 Poor cookie. Poor me, who didn't get to eat said cookie! Today, however, cookieless though I may be, I know I can eat my fill of poetry simply by checking out the Poetry Friday roundup over at No Water River. Great links to check out there and... a giveaway!. It's like a win-win!